Updates on community events and both local and international sponsorship stories. 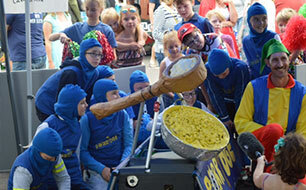 The total was raised by selling cakes, red noses and taking part in ‘Guess Katherine Ryan's favourite flavour cupcake. 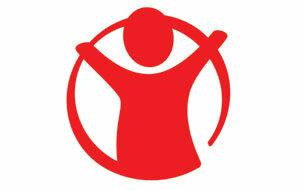 An organisation that offers solutions to enable disabled children in developing countries to participate in sports and other activities. TR Fastenings is renewing its sponsorship of Mick Kirby, the Sussex-based clay pigeon shooting champion who has successfully competed in the sport across the globe. TR is one of two sponsors Jamie relies on to help with costs towards his training, competition expenses, kit expenses and equipment. For the Christmas drive, the team collected enough items to be able to donate twelve large boxes of food and nine large boxes of toys to local donation banks. TR Fastenings would like to congratulate Megan Kempson, winner of the 2018 ‘Young Employee of the Year’ category at this year’s Uckfield Business Awards. The Young Employer category seeks to celebrate individuals who can demonstrate talent, dedication and determination despite a tough employment market. 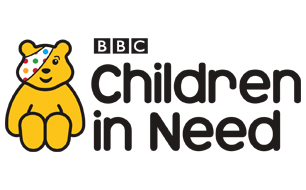 On Friday 16th November staff at TR Uckfield, HQ of TR Fastenings, the global engineer, distributor and manufacturer of industrial fasteners took part in this year’s Children in Need and raised a total of £93.35. To raise funds this year, employees at BBP dressed up as various characters! A golden boot was awarded to TR’s Rob Le Cras for the best goal, a thunderous volley from outside the box. 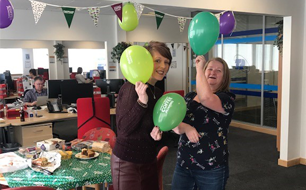 Employees at TR Scotland held a coffee morning in aid of Macmillan Cancer Support and have been busy collecting goodies for their local food bank. 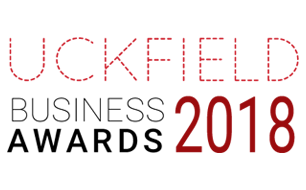 TR Fastenings (TR) is once again sponsoring the Young Employee of the year category at the Uckfield Business Awards, which will be held at the East Sussex National Resort on the 8th November 2018. 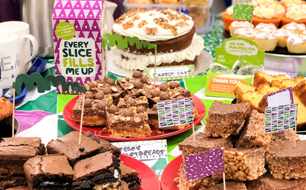 The total was generated through selling cakes as part of the charity’s annual national coffee morning. 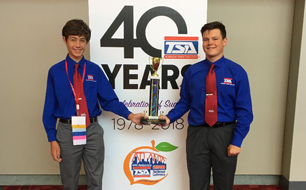 TR Fastenings Inc, the US business of global fastenings manufacturer and distributor TR, is supporting a team of technology students in Texas which has qualified for a prestigious national competition. 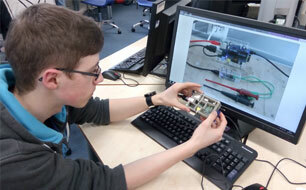 The TSA programme, which is only two years old, teaches participants important skills in the design, development, manufacture and economics of various technology projects. TR’s Jenni Morland, European Health, Safety and Environmental Manager has completed the Mighty Hike, an astonishing 26 mile course that took 8hrs 34 minutes and raised a fantastic £1,400 for Macmillan Cancer Support. 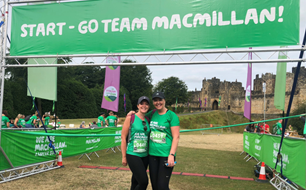 The route started at 9:30am from the grounds of Alnwick Castle in Northumberland, and after a “Zumba inspired warm up session” Jenni and her group began their incredible trek in the 27 degrees heat. 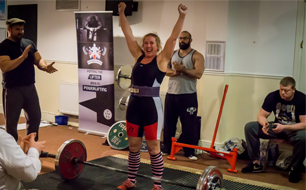 Anjie joined the Amateur British Powerlifting Union and took part in the Masters (M1) event, and came away with three world records. TR Fastenings (TR) is proudly supporting the Exeter Formula Student racing team, who competed in the international completion this year. The competition aims to develop enterprising and innovative young engineers and to encourage more young people to take up a career in engineering. TR has been delighted to support Forget Me Not Children’s Hospice, a charity supporting the families of affected young people, through sending a team to compete in the Drive DeVilbiss Charity Golf Day. Following a highly successful event last year that raised an amazing £6,000 for the charity, the goal was to ‘smash’ that figure onto the green for 2018. 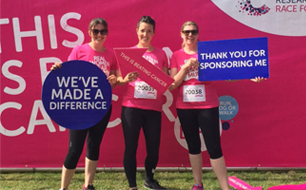 Lynsey Baldock, from the TR BBP site in Uckfield, tackled the 5k “Race for Life: Pretty Muddy” challenge on the 24th June with her three team-mates. Running the event with two friends in honour of close family members who have been affected by cancer, Lynsey smashed the nine-obstacle course and overcame every hurdle in her way. TR Fastenings (TR) is proudly continuing its support of keen-eyed clay pigeon shooter Mick Kirby, who has achieved a personal best score in a national shooting competition. Mick took part in a competition in Newcastle, where he competed in an incredible three events in three days, with the important English Open competition taking place on the final day. 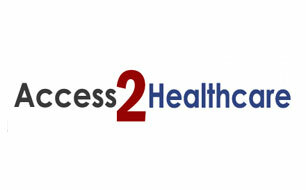 TR Fastenings (TR) is proudly supporting the Access2Healthcare (A2H) scheme, a community project transport project for people who cannot drive and who have no access to public transport. The scheme is an essential service as the NHS does not provide transport for journeys of this nature and patients have to make their own arrangements for keeping appointments. TR Fastenings (TR) is proudly supporting Laurence Squires, a talented driver and accomplished racer currently competing in the Aston Martin Owners Club (AMOC) “Intermarque Championship”. 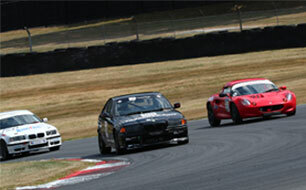 Laurence is leading the championship, having completed two races so far and finishing 1st in his class for both races. 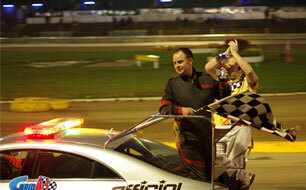 TR Fastenings (TR) is proudly supporting employee Dan Baldock, who after taking a 9 year break from racing. Racing with promotor Spedeworth, which has 8 tracks nationally, Dan has entered into the “Rookie Rods” formula. This may be an entry formula, but it is highly competitive and has stringent technical requirements of the cars used. TR Fastenings (TR) has donated sponsorship funds in support of the youth teams at Heathfield Cricket Club (HCC), near to TR’s headquarters in Uckfield. 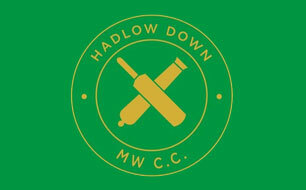 HCC runs a number of sides, from junior and social to veteran teams. The club caters for 100 junior players, all with differing levels of cricketing ability and has invested in a professional coach for its keen younger cricketers to further their skills. TR’s Jenni Morland, European Health, Safety and Environmental Manager who is based at the Newton Aycliffe site, is taking on the Northumberland coast in July for a charity hike. 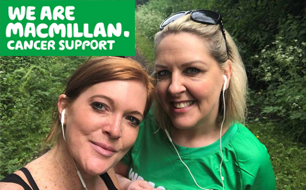 The Macmillan ‘Mighty Hike’ will see participants including Jenni and a friend walk for 26 miles (a marathon distance) along the beautiful Northumberland coastline on 21st July 2018 in aid of the cancer support charity Macmillan. TR Fastenings (TR) is hosting the 16th Uckfield Mini Grand Prix featuring over 150 local schoolchildren in its car park on Sunday 15th July 2018 from 11am-3.30pm. 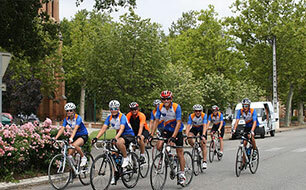 The race, which was first held at TR in 2003, will race 200 students from years 5-6 against each other in 24 teams. This is the only race in the UK to feature kit cars being driven side by side by children in a grand prix style competition. Just like in professional Formula 1 racing, the Kit Car teams will consist of drivers, pit crews, mechanics and supporters. 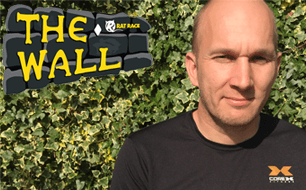 Hayleigh Horscroft and Mark Evans, from the TR BBP site in Uckfield, will be taking on the ‘Gauntlet Games’ obstacle challenge on the 14th July. Mark suffers from epilepsy and although it is currently under control, the cause is very close to his and Hayleigh’s hearts and they are keen to raise money and awareness for epilepsy charity, Epilepsy Action. 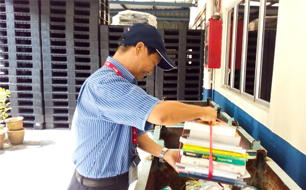 Colleagues from TR PSEP in Malaysia had a busy year in 2017 both in and out of the workplace, with the team taking part in a number of activities and campaigns for charity. From blood donation to furniture donation, TR PSEP employees dug deep and raised both awareness and money for a number of worthy causes throughout the year. 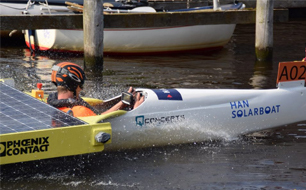 TR Holland is supplying parts and support for a solar-powered boat developed by students from the HAN University of Applied Sciences in the Netherlands. TR Holland has arranged for the supply of bigHead fasteners to the students, which have been used in the boat’s prototype. 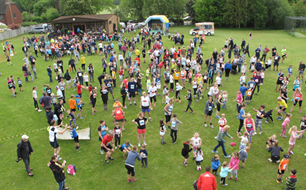 TR Fastenings (TR) has continued its proud tradition of supporting the Little Horsted Fun Run, which this year took place on the 13th May. The run is open to runners of all abilities, offering participants a choice of 1k, 5k and 10k courses, all taking routes across the beautiful Sussex countryside. 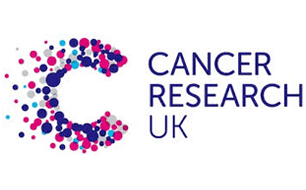 TR Fastenings BBP employee, Lynsey Baldock, is taking part in her local ‘Race for Life: Pretty Muddy’ event for Cancer Research UK (CRUK) on Sunday 24th June. Lynsey is running the race with two friends, in honour of close family members who have been affected by cancer. TR Fastenings contributed to over £800 raised for Cancer Research UK by donating a Kindle Fire device to a raffle drawn at a special beauty consultation evening hosted to raise money for the charity. 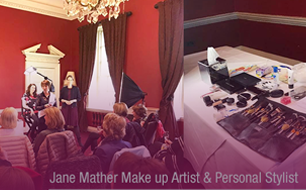 The event, held at the Buxted Park Hotel in April, offered attendees the chance to spend an evening with award-winning beauty consultant Jane Mather. 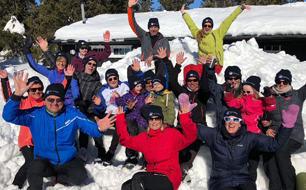 TR Norway acted as the chief sponsor of a skiing competition held high in the Norwegian mountains in March, an event which catered for all members of the family. The contest took place 890m above sea level in Tretten, in the Lillehammer mountains where 30 people competed on a 2km slope. 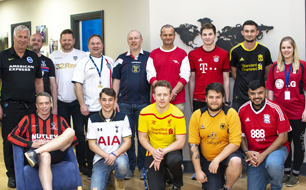 On Friday 27th April, members of the TR Fastenings team at BBP in Uckfield joined colleague Tom Ballan in sporting their finest football shirts at work, in aid of the Bobby Moore Fund for Cancer Research. Tom chose to support the charity after members of his family fought and beat bowel cancer, thanks in part to the help and resources of the Bobby Moore Fund. 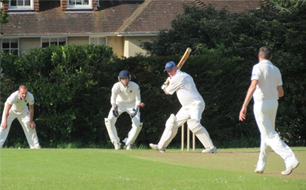 Uckfield firm TR Fastenings celebrated its ongoing sponsorship of Newick Cricket Club with a ‘friendly’ sponsors match held at the King George V Playing Field in Newick on Sunday 13th May. 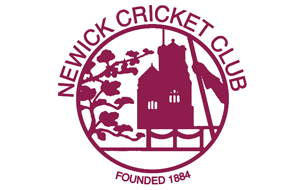 Newick Cricket Club is a vibrant village club, with over 200 members, ranging in age from 8 to 80. Members of the team from TR Manchester got their gladrags on in March and time-travelled back to the glory days of pop, at a KMF 80s themed charity night at the New Vic theatre in Stoke. 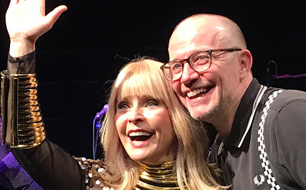 The event, which was raising money for local causes and for the theatre itself, was a celebration of the 80s featuring all the hits and a very special guest appearance from Toyah Willcox. 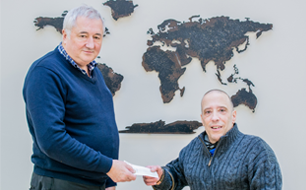 Global fasteners business TR Fastenings is pleased to be continuing its sponsorship of Mick Kirby, the Sussex-based clay pigeon shooting champion who has successfully competed in the sport across the globe since overcoming a stroke 11 years ago. SSE Wildcats Girls’ Football Centres from The FA will provide girls aged 5-11 in Uckfield and the surrounding area, with regular opportunities to play football. TR Fastenings, is throwing its support behind its very own Anjanita Baker, who is making a name for herself in the world of competitive powerlifting. 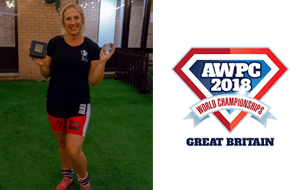 Anjie's interest in fitness and weight training began in 2011 when she joined Train Strong Bootcamp, and by 2017, she started competing in British strong woman events which involved truck pulls and atlas stone lifting. Jemimah Osborne is travelling to Kenya to build a school and water supply for villagers. 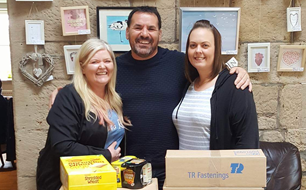 TR Fastenings is contributing to a North-East schoolgirl’s campaign to raise funds for a trip to a Kenyan village this Summer, where she and her classmates will be building a school, teaching and aiming to provide vital aid for the local community. Amelia Devlin was interviewed by Uckfield FM along with her coach Greg Watson. 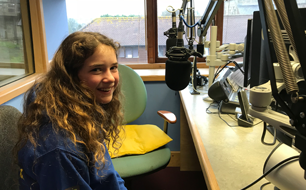 Amelia Devlin, the 12-year-old Sussex tennis prodigy sponsored by TR Fastenings, enjoyed 15 minutes of fame this month after being interviewed live on air by local radio station Uckfield FM in its weekly Sports programme. Employees from TR Southern Fasteners in Ireland have been busy taking part in various activites to raise funds for local charity, Helping Hands Action Group (HHAG). 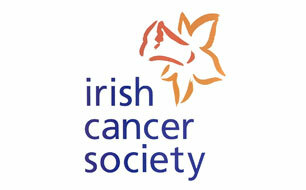 The collective amount raised was over €700, which was topped up to €1000 by TR. 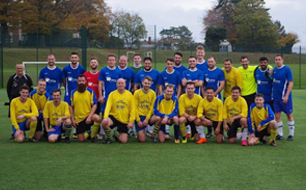 A team of TR Fastenings footballers netted an impressive victory against The Brickmaker's Arms 'Blaggers' from Ridgewood on 3rd December. Despite injuries leading to a depleted squad, TR's 11 remaining players put up a good fight and won the match 4-2. TR Fastenings has confirmed it will renew its sponsorship of superbike rider Ryan Strafford for the 2018 season. Ryan had a fantastic 2017 season on the track, finishing in an impressive second place overall in the Golden Era superbike. 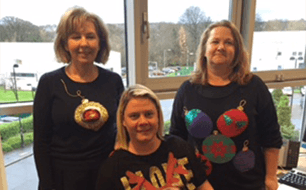 TR teams from Scotland and BBP in Uckfield have been raising money for charity this year by holding festive activities and wearing Christmas jumpers to work. In Scotland, staff took part in the national Save the Children Christmas Jumper Day on Friday 15th December, raising £171. TR Fastenings sponsored the caregory at the Uckfield Community Awards held on 11th November. 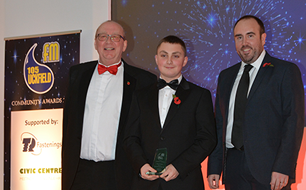 TR offers its congratulations to 15-year-old Scott O'Hara, who won the TR-sponsored 'Young Person of the year' title at the Uckfield Community Awards, held last month. 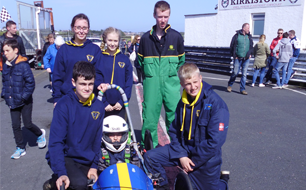 Six students from Ballyclare Secondary School represented Northern Ireland in the Greenpower Educational Trust's F24 Kit Car International Final. 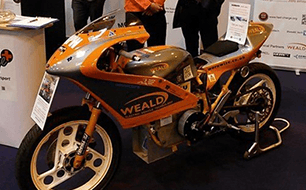 TR supplied parts and components for the electric vehicle used by the team, who secured their place in the international grand final by winning the Northern Ireland heats in the summer and being crowned F24 All Ireland Champions. As part of an initiative to support the community surrounding its Oldenzaal site, TR Holland is embarking on sponsorship deals with two local sports clubs, Hockey Bully and Oldenzaal Water Polo club. 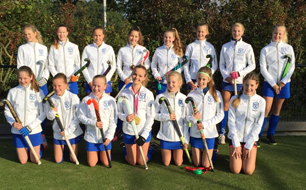 For Hockey Bully, a girls' hockey team, the company has joined forces with other local firms to purchase jackets for the team, in exchange for the TR Fastenings logo appearing alongside the pitch and on the clubs website. 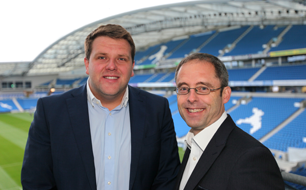 Sussex-based TR Fastenings announces its sponsorship of Brighton & Hove Albion Football Club. It's an exciting time for the soaring Seagulls as they debuted in the Premier League for the first time this summer and are enjoying growing commerical support from organisations passionate about sport and the community. 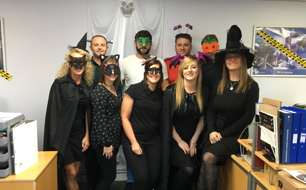 TR's Bellbrook Park in Uckfield and Waterside Park in the West Midlands have raised over £300 between them for Children in Need. Employees took part in a raffle and the Children in Need duxk race, which was broadcast live on the charity's Facebook page on Friday 17th November. Superbikes star Ryan Strafford, sponsored by TR Fastenings, delighted to finish season in second place. 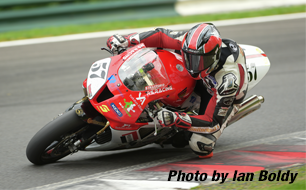 Ryan Strafford, a Superbikes racer who counts Uckfield firm TR Fastenings as one of his sponsors, has had an incredible 2017 season on the track, finishing in an impressive second place overall in the Golden Era superbikes category. 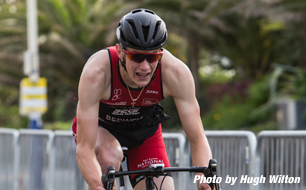 Company to continue supporting young star as he returns to the sport following 2016 accident. 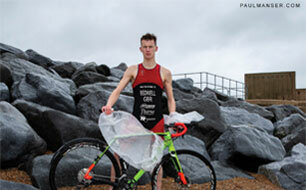 TR Fastenings in once again sponsoring aspiring Sussex triathlete Jamie Bedwell, as he returns to competitive racing after a serious accident. 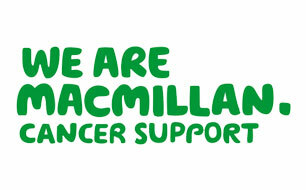 Employees at TR Aycliffe raised more than £400 for Macmillan last month in honour of their late colleague Linda Woodward. £354 was generated through selling cakes and hot drinks, while another £60 came from donations to the online tribute dedicated to Linda. 50-year-old disabled air rifle competitor Pete Moffat is hoping to qualify for the 2024 Paralympics in Paris and TR is among the sponsors helping him to realise this dream. 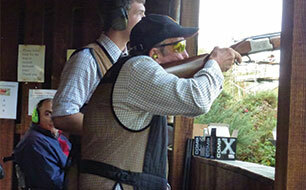 TR Fastenings has helped Pete with a contribution towards the equipment he needs to take part in Disability Shooting Great Britain's Training & Development Programme for Paralympic hopefuls. Staff at TR's Scotland site have grouped together to provide generous donation to a food bank, in an effort to offer support to the local community. 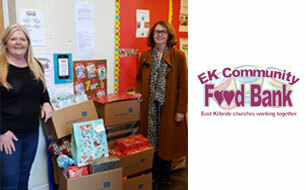 The team had undertaken a food drive earlier in the year as one of the local food banks was struggling to keep up with the deman for support in the area. 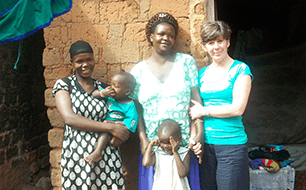 Employees raise €300 for Ugandan causes with sponsored run. 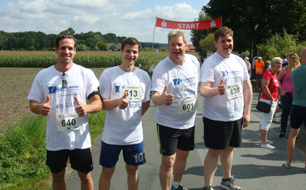 Employees from TR's German enterprise, TR Kuhlmann, raised €300 for humanitarian projects in Uganda by taking part in a charity run this summer. 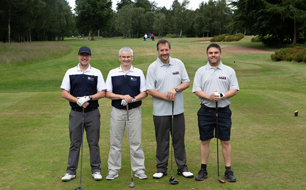 A team of TR employees took part in the 3rd annual Drive DeVilbiss Sidhil charity golf day. 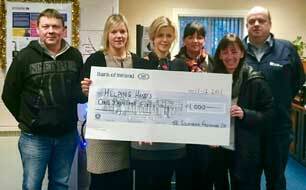 The charity golf day raised an incredible £6000 for the local Forget-Me-Not childen's hospice. 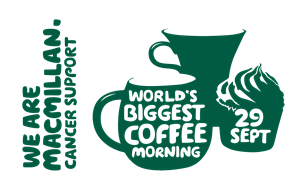 TR Fastenings is hosting a Macmillan Coffee Morning at its Bellbrook Park site in Uckfield on Friday 29th September. A team of volunteers will be serving up homemade cakes and brews for the TR teams to come along to. 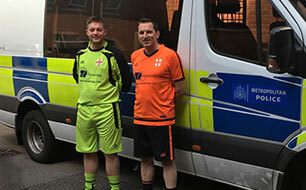 TR Fastenings (TR) is getting ready to cheer on two Metropolitan Police (Met) football teams who are competing at the World Police Indoor Soccer Tournament in October 2017. The teams, who are sponsored by TR and will wear the company logo on their kit throughout the competition, leave the UK on the 9th October. Avril McNeil, automotive strategic support at TR Fastenings (TR)’s North East division, has completed a gruelling series of zipwire challenges across sheer mountain faces and deep caverns in the Welsh countryside. 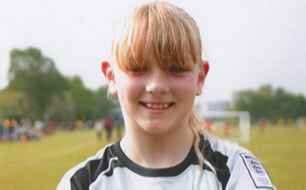 The challenge has seen Avril raise over £600 for the Sir Bobby Robson Foundation, smashing her £500 target. Bellbrook Park industrial estate resembled a scene from Whacky Races on Sunday 16th July as more than 200 children from 18 schools took part in the 15th Uckfield Grand Prix in the TR car park. The grand final of the annual eco-car championship was won by a team from Holy Cross CE Primary School after three hours of thrilling races. 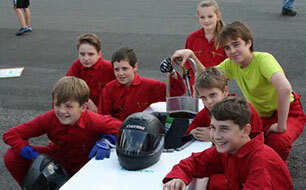 Organized by the Uckfield Rotary Club and Uckfield Community Technology College (UCTC), it is the only kit car race in the UK for children to drive side by side in a grand prix style. 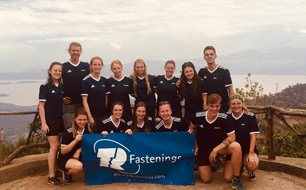 TR Fastenings (TR), the global fasteners firm in Uckfield, is contributing to a Sussex student’s life-changing trip to NASA’s International Space University in Houston, Texas. 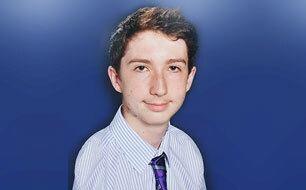 Jake Fisher-Dunfold, 15, from Uckfield Community Technology College (UCTC) will travel to the famous space centre in December to attend a week long educational experience. 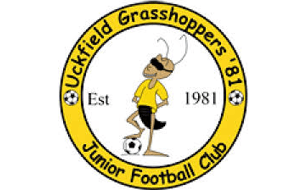 A member of Uckfield Grasshoppers Junior Football Club, sponsored by TR , is raising money for a charity which makes real hair wigs for children who have lost their hair through cancer treatment. In addition to donating a foot of her own locks, 11-year-old Emmie Stapley is running a sponsorship campaign for the Little Princess Trust and is halfway to her £1,000 target. 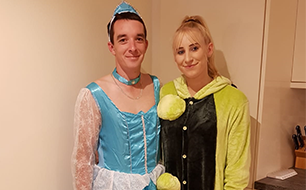 Regan Golightly and Troy Race from TR’s Newton Aycliffe site have successfully completed a gruelling 50 mile bike ride around the North East and have raised £2000! Kyran Richmond, who is 13 and lives in Chilton, a few miles from Newton Aycliffe, has Juvenile Batten Disease, a rare genetic metabolic neurodegenerative condition with no cure available. 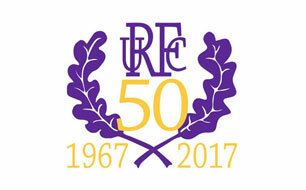 TR Fastenings (TR) has renewed its sponsorship of Uckfield Rugby Football Club (URFC) , which is celebrating its 50th anniversary this year. URFC played its first match in 1966 as Uckfield Youth Club, seven years before TR’s own humble beginnings. The club grew in strength and popularity and moved to Hempstead Fields 25 years ago in 1992. 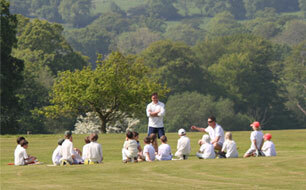 TR Fastenings is delighted to be a Corporate Sponsor of Newick Cricket Club. TR Fastenings is making a donation towards new equipment which will support club level cricket at Hadlow Down, an East Sussex village just six miles away from the company’s headquarters in Uckfield. Ian and David decided to take on the challenge in memory of David’s father Sid, who passed away in June 2016, to raise awareness of and funds for St Wilfrid’s Hospice in Eastbourne, where Sid spent his final days. TR Fastenings (TR) is donating a special raffle prize to a special Caribbean themed charity night being held at the beautiful Anchor Inn & Boating pub in Barcombe on the river Ouse in Sussex. On 30th June, Lyndsey, along with fellow scrummies Kerry, Sarah and Cecilia will be jumping from a plane in Headcorn to raise money for Sussex charity St Peter & St James’ Hospice. Lyndsey Case, Corporate Accountant and Company Secretary for Trifast plc, parent company of TR Fastenings based at headquarters in Uckfield, is one of four Newick RFC ‘scrummies’ (the nickname for wives and girlfriends of rugby players) planning to undertake a daring skydive at the end of the current season. 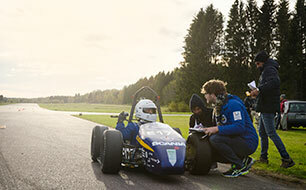 TR Fastenings (TR) is assisting a team of mechanical design and engineering students from Sweden to compete in Formula Student, Europe’s most established educational motorsport contest. The team, from Stockholm’s highly regarded KTH Royal Institute of Technology, is designing and building an all-electric dual-engine single-seater racing car. TR Fastenings (TR) is supporting a worthy local cause by sponsoring the 2nd annual Golf Day event run by the Heathfield and Waldron Responders. 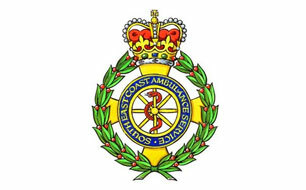 The Heathfield and Waldron responders are members of the community, trained by the Ambulance Service to respond to emergency calls through the 999 system. 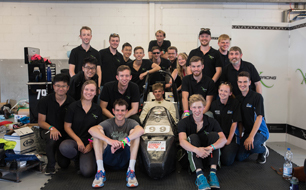 Uckfield firm TR Fastenings is playing its part in supporting the next generation of engineers by supplying parts to a team of Sussex students taking part in the Greenpower race series. Upcoming events and updates from Phil and the EV1000 project. Weald Electric Vehicle Tehcnology Project Update May 2017. 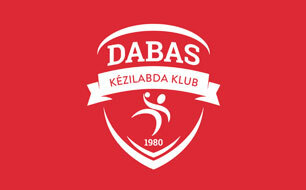 TR Hungary is proud to announce it has become a sponsor of the Dabas VSE handball club, home to one of the 12 teams which will play in the nation’s premier league during the 2017/18 season. The team is based just a short drive from TR’s distribution site in Leshegy on the southern outskirts of Budapest. 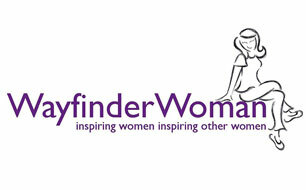 Global fastenings firm TR Fastenings, (TR) based in Uckfield, is proud to announce its executive sponsorship of the WayfinderWoman conference, entitled ‘Inspiring Through Technology’, at the East Sussex National Golf Club in Uckfield, on Friday 12th May. 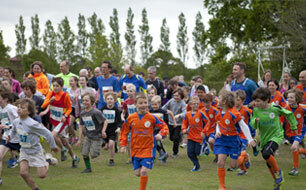 TR Fastenings (TR) is pleased to announce it is sponsoring the Little Horsted Fun Run on Sunday 14th May. This family-friendly event, now in its eighth year, traditionally raises money for equipment at Little Horsted Primary School, a few miles south of TR’s Uckfield base. 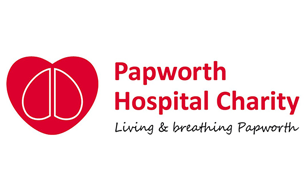 A team of eight TR Fastenings (TR) employees, friends and family took on the challenge of the Hastings Half Marathon on Sunday 19th March, overcoming steep hills and strong headwinds in their determination to raise money for the Papworth Hospital Charity. 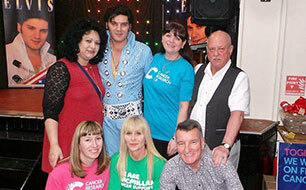 Staff from TR’s Newton Aycliffe base enjoyed a performance by the one and only Elvis (maybe) last month, when they attended a charity evening at Birtley Buffs Club in Chester-le-Street, County Durham. 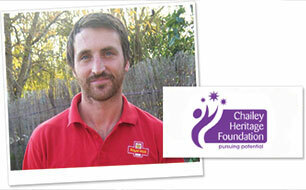 TR Fastenings is proud to be helping local postman Craig Davis to raise funds for the Chailey Heritage Foundation charity by sponsoring his upcoming ‘Mud Run’. TR has pledged a £150 donation towards Craig’s fundraising efforts as he prepares to tackle the 10 kilometre (6.2-mile) course in Tunbridge Wells’ Eridge Park on Saturday 25th March. 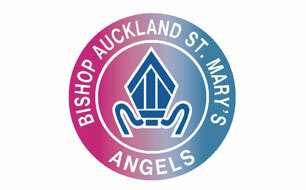 Raising much-needed funds for hospice services. Sean Cushen, BDM of TR Fastenings' Branded Products range, is striding out this September as part of a team of 18 who will be undertaking the famous Freedom Trail Challenge across the Pyrenees Mountains. 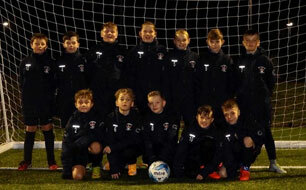 Lancaster Fastener Co Ltd, a sister company of global fastenings business TR Fastenings and part of the Trifast Group, is pleased to announce its sponsorship of a junior football team close to its headquarters in Morecambe, Lancashire. Tracey Wells, Administration Manager and Products Assistant at Uckfield firm TR Fastenings, is taking on a huge personal challenge later this year by embarking on a courageous Wing Walk for charity Phab. 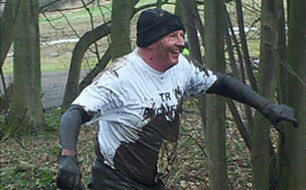 Nick Rees, Business Development Manager at TR Fastenings Poole took part in the White Christmas Dip. 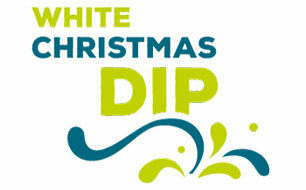 The White Christmas Dip is an annual charity fancy dress Christmas morning dip held on the beach next to Boscombe Pier in Bournemouth. This year, an amazing 94 selection boxes were donated, improving on last year's total of 70 and 40 boxes collected in 2014. 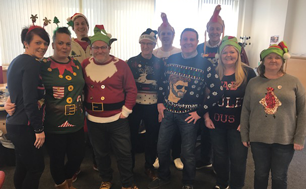 On Friday 16th December TR Fastenings took part in Christmas Jumper Day. Everyone taking part donated £2 to wear their Christmas Jumpers to raise money for Save the Children and St Wilfrid's Hospice. 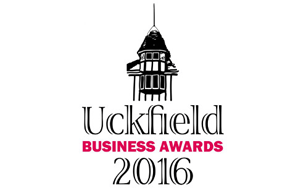 TR Fastenings congratulates Jake Holmes on winning the TR-sponsored Young Employee/Apprentice of the Year category in the 2016 Uckfield Business Awards. 21 year old Jake, is serving an apprenticeship with CJ Thorne & Co, a third generation family-run firm of civil engineering contractors with 120 permanent staff. 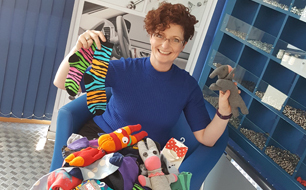 Maddy is seeking sock-toys, Lego and financial donations - all to support a small Sussex-Based charity. 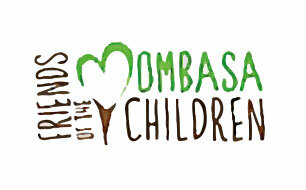 Friends of Mombasa Children (FOMC) is currently fundraising to buy mosquito nets to provide protection against malaria for children living in its school orphanage and nearby slums. Don Lamb, BDM at TR Aycliffe, will be undertaking an incredible cross-country ultramarathon on 18th June, running 69 miles in 24 hours. 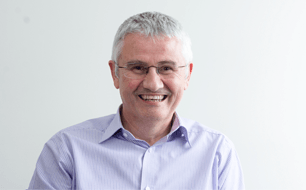 Supported by TR Fastenings, Don is raising funds for Waverley Primary School. 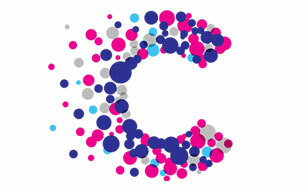 TR Fastenings is delighted to be supporting the Cancer Research UK Summer Lunch again this year. 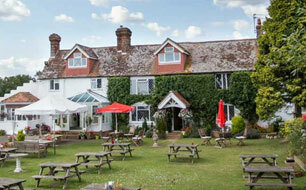 Organised by the Crowborough Volunteer Committee this year's event will take place on Wednesday 10th June. 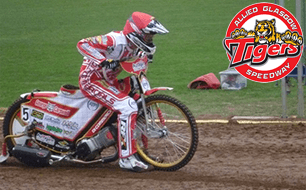 TR is proud to annouce it is sponsoring the Glasgow Tigers - the West of Scotland's only professional speedway team and one of only a handful of motosport venues in Scotland. Celebrating its 70th anniversary this year, the Glasgow Tigers race at the recently redeveloped Peugeot Ashfield Stadium and compete in British Speedway's Premier League. Five adventurous emplyees from TR Fastenings are gearing up to scale the UK's three highest mountains this July, in a bid to raise £2,000 for Cancer Research UK. 'The TRekkers', who work in the sales, purchasing and the quality department at the company's headquarters in Uckfield, East Sussex will attempt to climb Ben Nevis, Scafell Pike and Snowdon. On Friday 17th December the TR Office in Scotland wore Christmas Jumpers to raise money for Macmillan Cancer Support, Save the Children and Make a Wish. 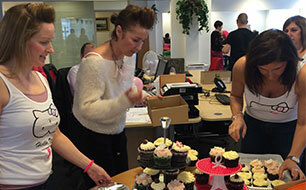 The team held a cake sale and a festive quiz with everyone donating money towards the selected Charities. 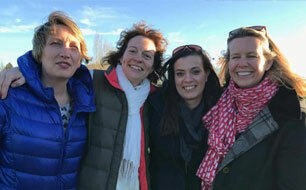 TR was delighted to support nine feisty mums who recently took up the challenge of the Mud Monsters 5km Run Challenge. Raising much-needed funds for Nutley Pre-School playgroup, the team which included Shane Bills, the Goods-In Team Leader at TR in Uckfield, have so far raised £700 for new soft play equipment and indoor furniture. 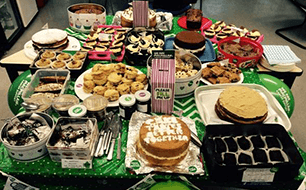 Employees located at TR's Head Office in Uckfield, East Sussex hosted a cake sale to raise money for Macmillan Cancer Support. 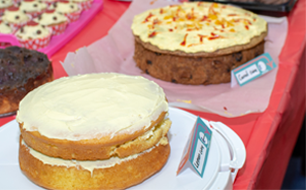 A large selection of cakes were baked by members of staff and sold throughout the day. Steve Marner, a member of TR’s staff played in the G4S Celebrity Charity Football Match in aid of Chestnut Tree House children’s hospice on Sunday 27th September. Steve was amongst a team that went up against celebrities from the world of sport and entertainment. 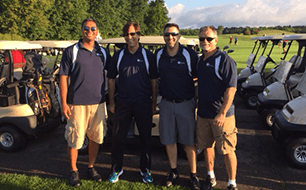 TR Fastenings’ USA Automotive team has had a wonderful showing at the United Way Annual Golf Event in Plymouth, Michigan. TR was honoured to be a part of the event as an Eagle sponsor, one of only a select few companies associated with the tournament. 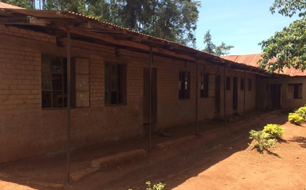 Children from Manor Primary School in Uckfield have successfully managed to raise enough money both to pay for the education of a 13-year-old Ugandan boy and also build his family a new home. 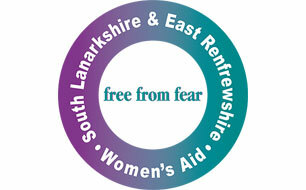 To date, over £7,000 has been raised. TR Fastenings new sponsorship of Ashdown Forest RDA. 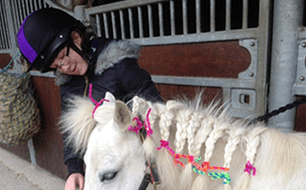 Founded in 2008, Ashdown Forest RDA offers a variety of horse-related activities for local disabled children from the age of 3 to 14 years old. 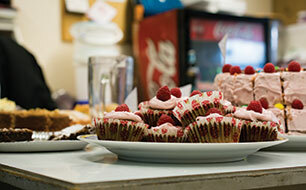 TR head office took part in a bake off to raise money for Red Nose Day. A selection of cakes, sweet and savoury were backed and entered for a prize. 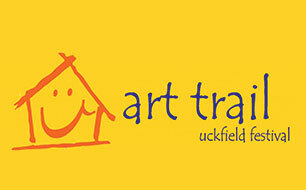 Celebrating its 10th year anniversary, the Uckfield Art Trail returns to Uckfield Art Festival. The exhabition will again be based in the Uckfield Civic Centre on the 17th and 18th of july. TR Fastenings supports local sportsman who suffered paralysis after stroke. Uckfield based TR Fastenings is pleased to be sponsoring champion shooter and disabled person Mark Kirby, in clay pigeon shooting competitions across the UK. 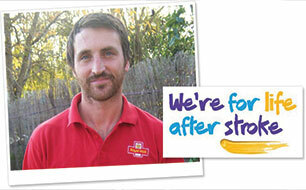 TR Fastenings will be supporting Craig Davis in the London Marathon. TR Fastenings will be supporting Craig Davis, local employee at the Royal Mail on BellBrook Industrial Estate as he participates in the London Marathon for the Stroke Association. 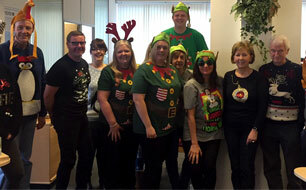 TR Scotland takes part in christmas jumper day for Save The Children. The team at Scotland had a sucessful day for the jumper fundraising day which took place on the 12th of dec.
TR Fastenings is proud to sponsor the development of a new electirc powered race car to be built by the students at Uckfield Community Technical College. 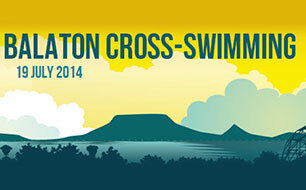 TR Hungary employee Csaba Kapuvári has taken part in the 2014 Lake Balaton cross swimming competition on Saturday 19 July 2014. Lake Balaton is a freshwater lake in the Transdanubian region of Hungary and is the largest lake in Central Europe. 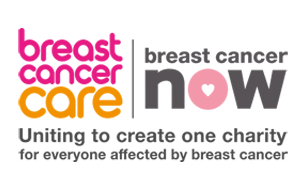 TR Scotland Wears it pink this Fri 24th Oct in support of Breast Cancer Campaign. The team had a fantastic day for the ‘Wear it Pink’ fundraising day which took place 24th October. 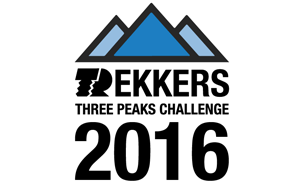 Keep up to date with the teams progress on this amazing challenge! 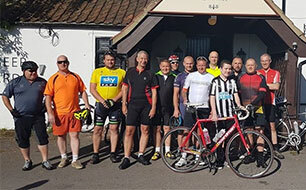 Team Lonbar, a group of seven intrepid cyclists from Uckfield led by TR Fastenings’ Quality Director Ian Carlton, is preparing to undertake the gruelling challenge of a 1,000 mile bike ride to raise £7,000 for Chestnut Tree House, the only hospice for children and young adults in Sussex. The Ladies Mini Marathon event took place in Cork City on Sunday 28th September. The girls from TR Southern Fasteners all took part and were proud to sponsor the t-shirts for their chosen charity 'TheChemo Dept’ of Cork University Hospital. 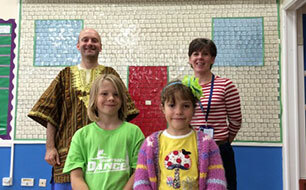 Uckfield Manor Primary School, raises enough money to build a house for a family in Uganda. It has taken just four weeks for children at Manor Primary School, Uckfield, to raise enough money to build a house for a family in Uganda. TR employees have put together a football team for a 6 a side football league that’s held at Freedom Leisure in Uckfield every weds night. 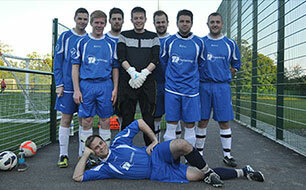 The TR Fastenings team get to play a 1 half hour game a week against other local teams. The staff of TR Southern Fasteners Mallow decided to get on board and take part in one of the fastest growing social media sensations to hit Ireland. The girls took part in #Nomakeupselfies and the boys in #makeupselfies. 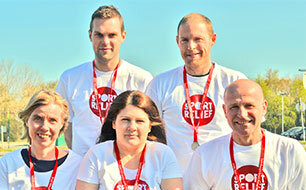 On 23rd March 2014, a team from Lancaster Fastener entered in to the spirit of this year’s Sport Relief Mile campaign. Support from family, friends and fellow Lancaster colleagues contributed to the team raising £330 for the national appeal. 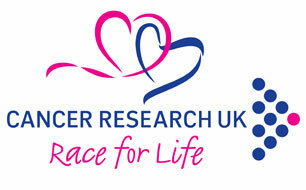 Kat Babb from TR's head office in Uckfield East Sussex, is taking part in Race for Life in Eastbourne in June 2014. 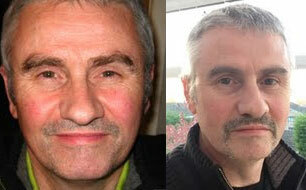 Please dig deep and sponsor me online - it's quick, easy and totally secure. 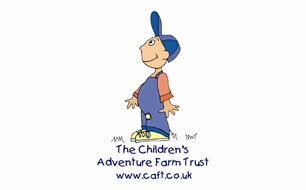 TR Fastenings is delighted to announce that it has recently started supporting The Children’s Adventure Farm Trust. 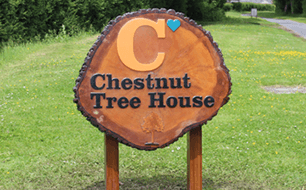 The Trust provides a variety of programmes for terminally ill, disabled and disadvantaged children from all over the North West. 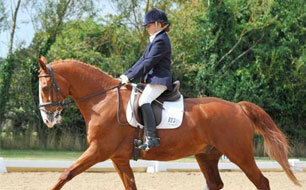 TR Fastenings are proud sponsors of Lee Frawley, a talented Dressage rider on her way to the Paralympics. Read more about Lee and her achievements so far, including eventing all over the world with her horse Pip and the build up to the big event later this year! 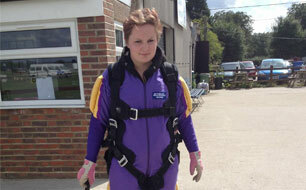 Hannah Creasey from TR headquarters BBP in Uckfield, is raising money for pancreatic cancer. My Grandad was diagnosed with pancreatic cancer and sadly lost his battle last year. Because of this I thought walking at Shine, London was a great challenge to raise money for such a worthy cause. 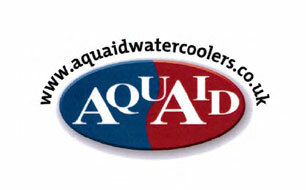 TR Fastenings has, by using AquAid's water coolers, helped save the lives of many children in Africa. With every water cooler and bottle of water TR has obtained from AquAid a donation has been made on its behalf to The Africa Trust. The club was formed in 1986, and since then has developed into a club that has now unquestionably emerged as Bishop Auckland's premier football club for children and young adults. 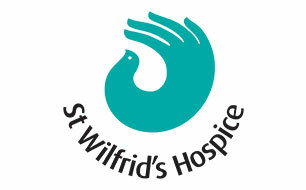 On Sunday 30th June Lynsey Baldock, Hayley Miles, (Employees from TR head quarters Uckfield) will be doing a 7 mile sponsored walk down at Birling Gap to raise funds for St Wilfred’s Hospice and Manor Park School. They will also be walking with staff members from Manor Park to celebrate and remember the life of Lynsey's Auntie Karen who sadly passed away in January. On Sunday 26th May 2013 Claire Coleman from TR Manchester, will be running the Great Manchester 10k Run in memory of her Nana (Eileen McCabe) who sadly passed away on December 4th 2012. Eileen had battled with Alzheimer’s for nearly 18 years. 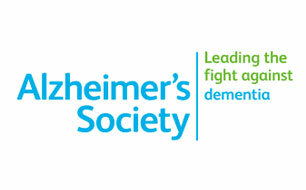 For this reason Claire will be running to raise money for The Alzheimer’s Society. 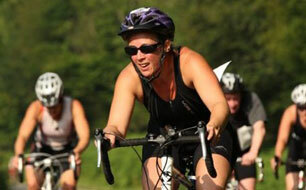 Anjanita from the TR marketing department will be competing in her first triathlon event on 7th July 2013 at Ashburnham Place in Battle, East Sussex. Anji will be doing the sprint distance - 750m swim - 20k bike - 5k run and raising money for Lupus UK. On Sunday 16th June, TR employee Sam Pert, from TR headquarters in Uckfield, will be taking part in this years London to Brighton Bike Ride. 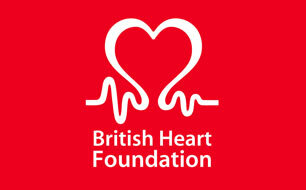 Sam will be raising money for the British Heart Foundation. 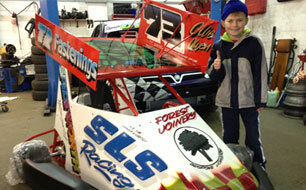 TR is proud supporter of 7 year old Ninja Kart racer Oliver Owen. Oliver races Ninja Karts in the 6-12 year olds group, driving with SLS Ninja Karts, in the UK. Ollie started Ninja Kart racing in December 2011 when he was only 6 years old and has just completed his first full seasons with Spedeworth Motorsports and Rolling Thunder Show. 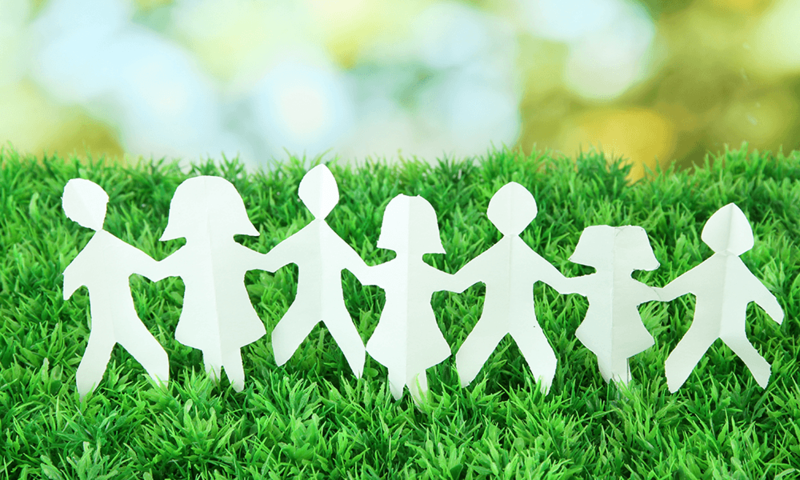 On the 2nd June, John Nar from TR Waterside Park will be taking part in the 13 mile Walk For Kids Charty event. This will be in memory of his brother Sonny Nar who passed away on the 18th August 2006 at a young age of only 16 years old. 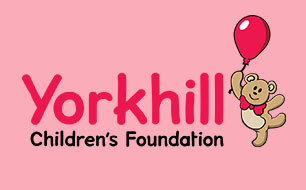 On Saturday 8th June, Jim McGeachan and Bruce Hamilton from TR Scotland, and a friend of theirs Stephen Wright, will be climbing Ben Nevis to raise money for Yorkhill Children's Foundation. 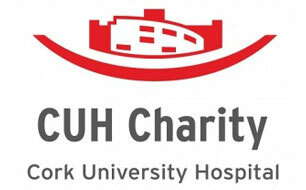 They will be raising funds to help ensure the Yorkhill Children's Hospital has the money to continue the great work it does for all the children and babies at the hospital. A group of TR staff from our North East location are competing in Muddy Mayhem for Help for Heroes to raise money to support the great work this charity does to help our armed forces. 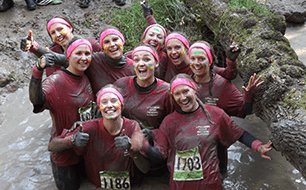 The challenge is a 10K run - On the 24th March our TR Fastenings team will be running 10km and experiencing the pure hurt and hell of crawling through mud and flames along the way. 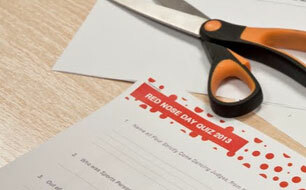 The TR head office has taken part in a general knowledge quiz to raise funds for Red Nose Day 2013. The quiz consisted of general knowledge questons, picture rounds and anagrams. It is the month of Movember and men, known as Mo Bros, all over the world are grooming, trimming and waxing themselves some fine moustaches in support of men’s health. By growing moustaches for the month of November they are actively promoting and encouraging the often ignored discussion of men’s health issues, whilst raising vital finds through sponsorships. Eight TR staff members from our head office in Uckfield, East Sussex attended the Gala in support of the Friends of Mombasa Children charity. The Evening included an auction, a raffle and dinner and dancing all to raise money for the charity. 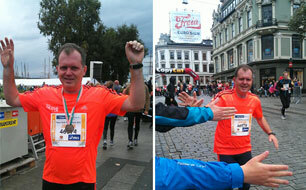 TR Norway employee helps raise £70,000 for charity! Jan Erik is part of a charity pool along with 300 other people raising £70,000 for the Cancer Foundation in Norway! Between July 26th and August 1st 10 daring go getters will travel across the country to climb the 3 highest peaks in the UK. 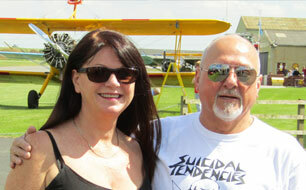 To raise money for Forest Holme Hospice in memory of Paul Bulgarelli. Paul passed away in 2011 after a short battle with cancer and was wonderfully cared for by the staff at Forest Holme. 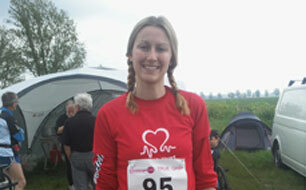 TR Employee took part in race for life and completed in 42 mins and 50 secs! 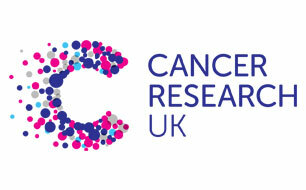 Thank you so much for sponsoring me for the Race for Life that I did on Sunday. I completed it in 42mins and 50 seconds which is much better than I expected and it was both an emotional and uplifting day. Jade Overy who works in TR's Finance department, will be taking part in a challenge to run as far as possible in 24 hours to raise money for the British Heart Foundation. The event starts on the 19th May at 1pm and Jade will be running as many laps of a 6.55 mile loop as possible in 24 hours. 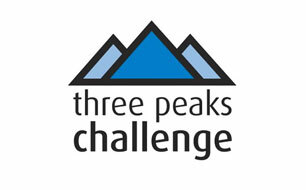 TR is proud to support Rebecca in this amazing challenge. Trevor Weeks (founder of WRAS) works a tremendous amount of hours to be able to save these animals and with a small centre, small team and limited funds he really does deserve all the support we can give him. 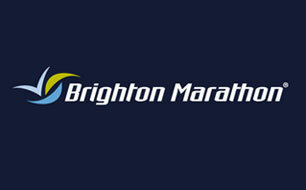 Dave Hinton, who works in our IT department at TR Fastenings will this year again be running the Brighton Marathon. This year’s Brighton Marathon is on Sunday 15th April, Dave is going to be running again for the NSPCC. 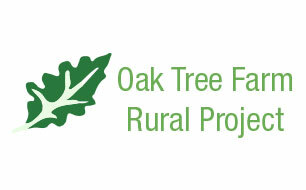 Oak Tree Farm, a charity organisation set up to provide a rural working environment for people with learning disabilities. 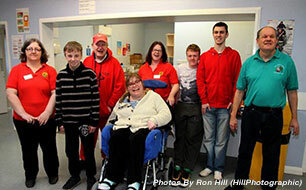 Oak Tree Farm provides a rural working environment where people with learning disabilities gain the skills, independence and confidence to take them towards an active role in society have recently constructed a new Tea Room.